In September, 2012, this adorable (but very prickly!) 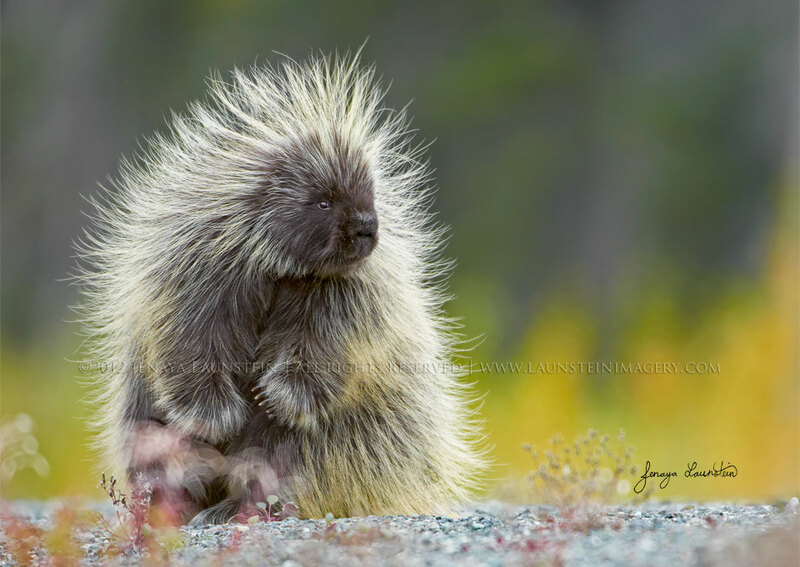 North American Porcupine wandered out of its forest home in Kluane National Park, Yukon Territory, and melted Jenaya’s heart. The encounter became one of her favourite memories from the field, and Yukon Porcupine has gone on to receive multiple international awards before being selected for exhibit in the International Photography Hall of Fame & Museum. It has also been featured in two exhibitions in the Smithsonian National Museum of Natural History in Washington DC, and is one of our best-selling prints and cards.